Business is based on contracts, but even sound contracts can prompt disagreements. 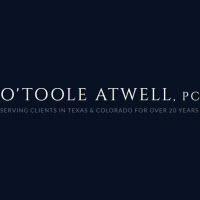 When disputes arise in your business, O'Toole Atwell, PC, of Austin, can provide aggressive and effective representation. We deliver experienced legal services to individuals and businesses of all sizes, from sole proprietorships to major national corporations. We are committed to excellence in advocating our client’s position in any kind of business dispute. Our experience in the application of complex accounting and financial principles, drafting and reviewing contracts as well as business formation and dissolution also provides our clients with valuable insight and tools to manage complex business litigation. We deliver the training and services you associate with large firms, but at more manageable fees. Our extensive courtroom experience allows us to adapt seamlessly to complex issues in litigation. Our real-world understanding of how your business operates from its corporate structure to its balance sheet gives you a powerful advantage in the resolution of disputes. Contact the business litigation law firm of O'Toole Atwell, PC, to schedule a consultation with our attorneys.